As a partner of the specialist trade, interco System! is a leading specialist for high-quality seating and positioning systems. 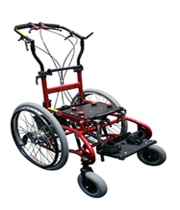 The robust and durable wheelchair components are precisely adapted to the needs of the patients. Depending on requirements, these consist of seat shells and undercarriages as well as customized components such as supports and restraints. With our solutions for active and passive sitting, our custom-made products and undercarriages, we offer possibilities to individually care for patients with special needs. Our modular systems can be combined to suit a patient's needs. We support orthopedic technicians, the specialist trade and medical supply stores in the design and production of custom-made care systems and manufacture high-quality and long-lasting special solutions in our own workshops. Our solutions for active sitting allow permanent, pain-free sitting in a physiological posture, promote self-mobility and at the same time ensure secure support. In this way, they support the independence of patients without compromising the necessary safety. 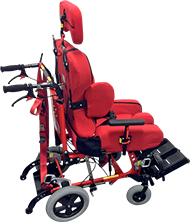 The seat shells with custom upholstery can be flexibly supplemented by a wide range of accessories, so that the seating solution can be optimally adapted to the patient's physical characteristics and level of activity. Our special care systems for passive sitting allow optimized sitting positions, even under complex conditions. They help in positioning deformities, compensating poor posture and avoiding decubitus. Furthermore, they also extend time periods spent in the care system. The standard systems can be adapted to suit individual needs and can be supplemented by a wide range of additional components to create customized individual care systems. If patient-appropriate care with standard solutions is not possible, we develop individual special solutions and support the specialist trade in their realization. To this end, we modify and supplement existing care systems and design individual components or complete systems. Our experienced developers and our competent workshop team will find a suitable solution for virtually every challenge. We offer a wide range of robust seat shell undercarriages for indoor and outdoor use. 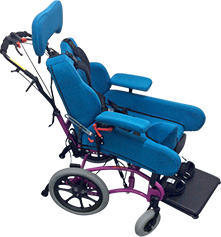 They can be combined with the various seating solutions to form an individual seating system, are crash tested and listed in the aids directory. We support orthopedic technicians, the specialist trade and medical supply stores in the design and production of custom-made care systems and manufacture high-quality and long-lasting special solutions in our own workshops. We develop and manufacture all interco System! seating solutions at our company headquarters in Eitorf (Rhein-Sieg-District). Our high-tech machinery pool, the dedicated team and many years of experience ensure perfect results in the design and production of active and passive seating systems, undercarriages and custom designs. Learn more about our technical possibilities and our machinery pool. ERGOLINE® Active is a seating system for patients who are very active despite physical limitations. It consists of a seat and back section as well as custom upholstery. ERGOLINE® Light is an extremely lightweight seating system for patients who are very active despite physical limitations. It consists of a seat and back section as well as custom upholstery. MIKY® is a seating system for particularly active, independent patients in childhood. It is extremely lightweight and can be adapted as the user grows. MAGICLIGHT® is an expandable, extra lightweight seating system for children who find it difficult to assume or maintain their sitting position. 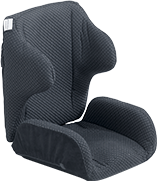 It is fitted with a dynamic, adjustable back rest. 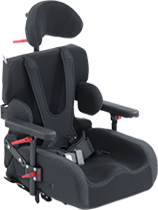 MAGICLINE® is an expandable seating system for children who find it difficult to assume their sitting position. 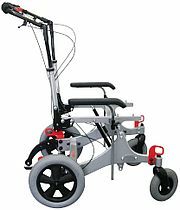 It consists of a seat and back unit as well as side guides for the upper body, pelvis and legs. ORTHOLIGHT® is an extra lightweight seating system for small and larger patients who find it difficult to assume or maintain their sitting position and who are only marginally active. It is available in standard sizes or is customized to body dimensions or vacuum body impression. 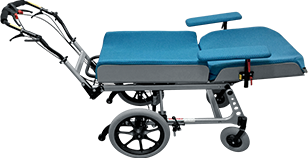 ERGOLINE® Passiv is a seating system for completely restricted and immobile patients. It consists of a seat and back section, optionally manufactured according to a vacuum body print, as well as custom upholstery. Individual requirements require individual solutions for sitting, traveling, lying and positioning. These are developed and manufactured individually for each patient. With our many years of experience and our competent specialists, we find the optimal solution for the special needs of your patients. SIMPLY LIGHT® is an extra lightweight, adaptable undercarriage with abducted frame. It can be combined quickly and easily with different seat shells. SIMPLY® is a functional undercarriage with a robust frame. It can be combined quickly and easily with different seat shells and is suitable for both indoors and outdoors. MINY® is the most compact undercarriage on the market. 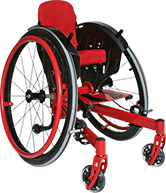 It can be combined with standardized and custom-made seating systems and used as the basis for an active wheelchair. 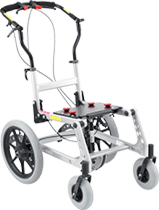 ROOMY NEW EDITION® is a lightweight mobile undercarriage for indoor and outdoor use. The seat shell can be lowered almost to the floor and raised up to table height. 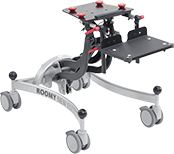 ROOMY® is a mobile undercarriage for indoor use. The height of the seat shell can be adjusted manually. interco System! is a brand of the interco Group!, an international specialist for high quality products and services. These include rehabilitation solutions in the areas of sitting and positioning, technical services and production support as well as training and consulting. All offers are characterized by their excellent price-performance ratio. The heart of interco Group! is the Markwald family, which is active with two generations in the operative business as well as in the administrative area. This assures the high level of commitment, clear value orientation and personal reliability of the interco brands as well as the entire Group. How do I find the right seating system? Selecting the right seating system is a complex task that should be tackled in close consultation with physicians, therapists and orthopedic technicians. In particular, the type of restriction and the degree of activity must be taken into consideration. If it is unclear which interco System! seating or positioning system is the suitable care system, we will be happy to support you in your selection. What makes interco System! care systems so special? interco System! offers solutions for active and passive sitting, custom-made designs and undercarriages that provide optimal care for patients with special needs. The modular designed systems can be combined to suit the patient and individualized with additional components. We support orthopedic technicians, specialist dealers and medical supply stores in the design and production of custom-made care systems and manufacture high-quality and long-lasting special solutions in our workshops. Which care systems are offered by interco System!? interco System! offers solutions for active sitting, care systems for passive sitting, individual special designs and undercarriages. interco System! solutions usually consist of seat shells, undercarriages and individual components such as pads and restraints. The solutions can be adapted to different degrees to suit the patient and combined with indoor and outdoor undercarriages. What are the advantages of active seating systems? 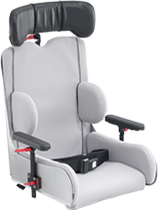 Active seating systems allow permanent, pain-free sitting in a physiological posture, promote self-mobility and at the same time ensure secure support. In this way, they support the independence of patients without compromising the necessary safety. 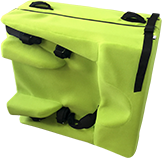 The seat shells with custom upholstery can be flexibly supplemented by a wide range of accessories, so that the seating solution can be optimally adapted to the patient's physical characteristics and level of activity. For whom are active seating systems suitable? Active seating systems are generally suitable for patients who are very active despite physical limitations, who can assume their sitting position independently or with little support and whose movement sequences can be therapeutically encouraged and improved. Causes for the physical limitations can be functional deficits in the interaction of the pelvis and the spine. These can be caused either by a congenital or acquired deformation of the musculoskeletal system (e.g. bony joint structures) or by congenital or acquired insufficiencies of the locomotor system, the pelvis and/or the spine. What are the advantages of passive seating systems? Passive seating systems enable optimized sitting positions even under more complex conditions. They help in positioning deformities, compensating poor posture and avoiding decubitus. Furthermore, they also extend time periods spent in the care system. The standard systems can be adapted as required and supplemented by a wide range of additional components to create customized care systems. For whom are passive seating systems suitable? Passive seating systems are generally suitable for patients who find a sitting position difficult, who are physiologically disturbed or who are unable to assume a sitting position due to anatomical changes. Causes for this can be functional deficits in the interaction of the pelvis and the spine. These can be caused either by a congenital or acquired deformation of the musculoskeletal system (e.g. bony joint structures) or by congenital or acquired insufficiencies of the locomotor system, the pelvis and/or the spine. Do I need a doctor’s prescription for an interco System! Care system? Yes. In Germany, the attending physician is responsible for the provision of aids. It is important that the physician notes the exact requirements on the prescription and indicates as precisely as possible which additional components are needed for the care system. In other countries the proceedings may be different. Please contact us directly if you have questions. Who assumes the costs for the care system? For Germany, the proceedings are as following: If the indication is appropriate, the health insurance funds cover the costs for aids listed in the aids directory of the GKV Association (central interest group of the statutory health and nursing insurance funds in Germany). As a rule, the interco System! care systems are listed in the medical aids directory. This assures assumption of costs. If you have any questions or need information about the assumption of costs in other countries, we will be happy to advise you in a personal consultation. How does interco System! support the specialist trade? After the specialist trade has conducted a needs analysis, interco System! creates a concept with a proposal for the care system, a technical outline and a quotation and coordinates this with the specialist trade. After coordination with the cost bearer and patient measurement by the specialist trade, interco System! takes over the production of the aid in our workshops and adjusts the aid after a fitting if necessary. Does interco System! also offer care systems for adults? Yes, interco System! care systems such as the ERGOLINE® and the ORTHOLIGHT® series are also suitable for adults. Here, the maximum load or maximum back rest height of the respective series must always be taken into account. In the area of custom-made products, there are virtually no limits to the care systems. Detailed information can be found in the technical data of the individual series. 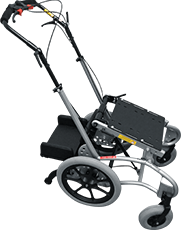 Can an interco System undercarriage be combined with seat shells from other manufacturers? Yes. An intermediate adapter is available as an optional extra for accommodating seat shells from other manufacturers. Please observe the specifications for the respective product series. A trapezoidal adapter receptacle is included in the standard equipment for easy installation of interco seat shells. Per mail. Per telephone. In person. Would you like to know more about the interco Group! or the interco brands? Simply contact us directly. I have read and agree to the date protection declaration.